The number of devices, products and applications on offer in the smart-home area has increased enormously in recent years. Automatically raising and lowering blinds using remote control, switching the lights or heating on and off even when you’re not at home: All these things are now standard functions. There have long been houses capable of locating their occupants and turning on heating in good time as soon as they are close to home. It is possible to tailor varying complex scenarios to every occupant, so that each resident is greeted with their own individual preferences regarding light, music and heat. But how can you master something so complex without first completing a course of further study on the smart home? 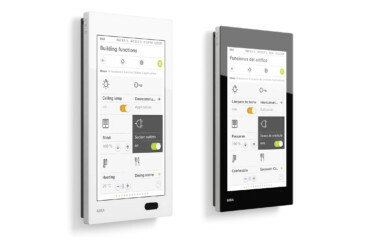 Well in time for the exhibition BAU 2017, Gira is presenting a control and visualization system especially designed for smaller properties and single-family houses. 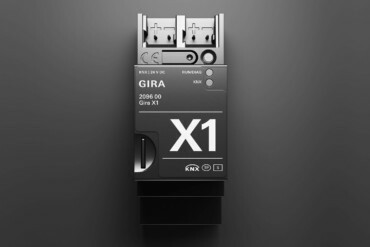 The new Gira X1 server is a simplified and inexpensive control system that is equally simple to operate and install. 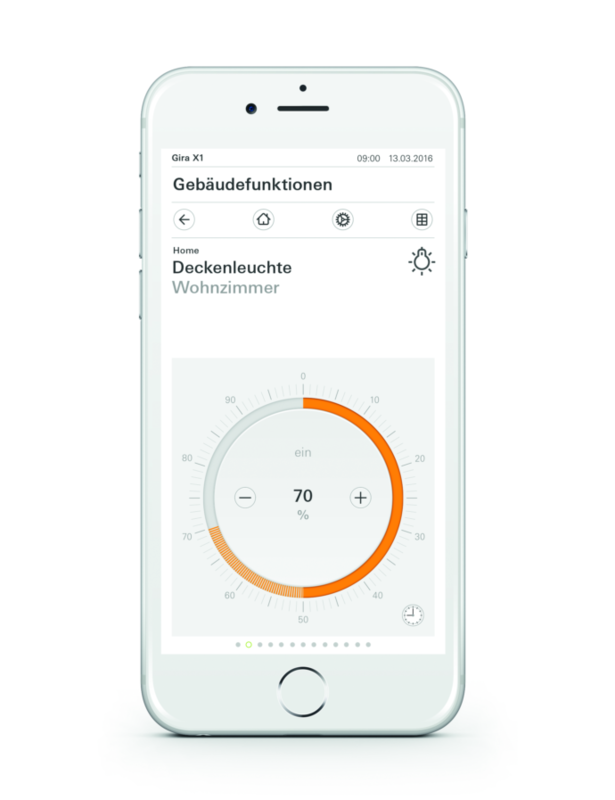 As long as the smart appliances in the home are fitted with the KNX standard, the X1 can integrate them into the building automation and desired logic routines across all manufacturers. 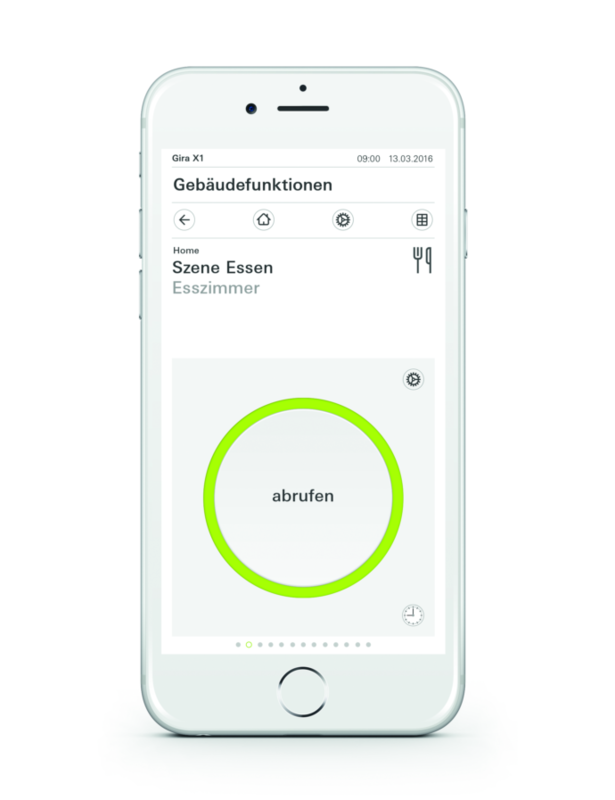 The X1 app visualizes all functions and also makes them accessible remotely. Light, heating, windows, blinds and doors can then be checked from any place and at any time and opened, closed or regulated as needed. It is also possible to call up live camera images so that the postman, neighbors or the gardener can be identified at any time and briefly admitted to the home. 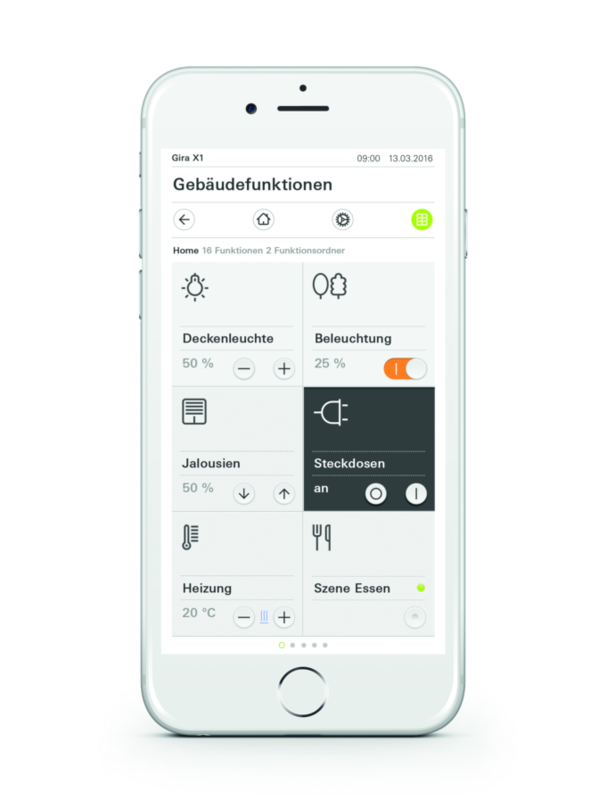 As the app can be easily combined with the logic module L1 and the Gira Project Assistant, it is possible to create a series of additional, individual comfort routines in just a few steps. The editor allows occupants to set up scenarios with user-friendly drag&drop functions, and a simulation mode prevents errors. The VPN server integrated into X1 ensures encoded and safe communication between all the devices involved. Yet it is not only possible to “smarten up” new and old buildings relatively easily and inexpensively using this system. The Gira Project Assistant (GPA) also assists the electrician, as installation planning can be performed simply using drag & drop functions. All this will bring few changes to the look of our homes, as most of this technology works “unobtrusively.” But for all those who are keen to know what this new revolutionary smart home will look like, we would advise a digital tour of the Gira X1 app. 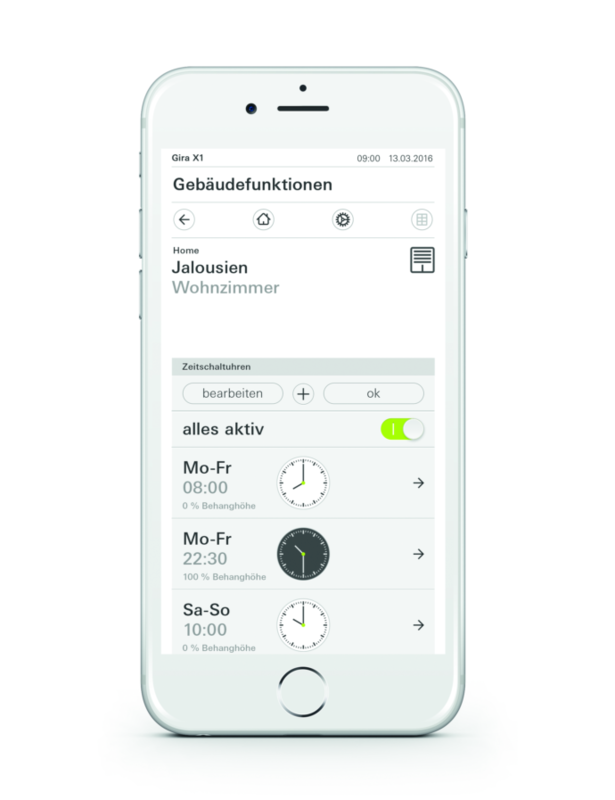 The Gira X1 app displays all the building functions in the overview. Central functions can be directly operated here, while the fields lead to the corresponding functions. Home lighting can be controlled with maximum flexibility. 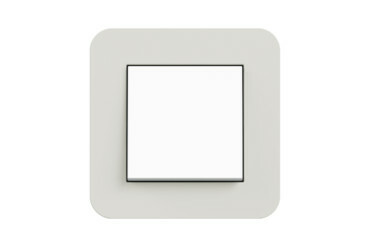 Switching and dimming functions are available for all luminaires; lights can also be combined in specific groups. It is not only possible to raise or lower blinds and shutters. Indeed, they can also be moved to predefined heights and tilt their lamella in the desired position to ensure greater shade in summer and more sun in the winter. In combination with an intelligent heating and ventilation control system, these functions can help decisively lower a building’s energy costs. 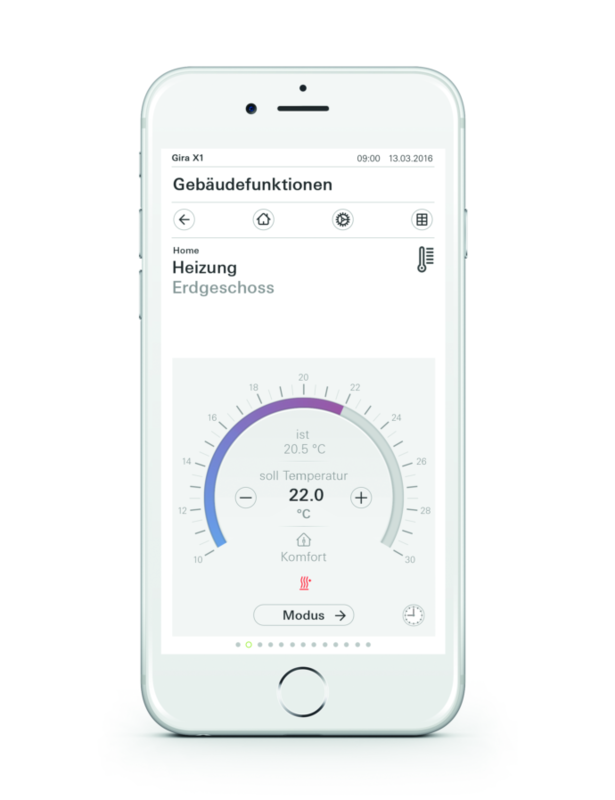 In conjunction with the corresponding KNX sensors the heating can be precisely regulated. 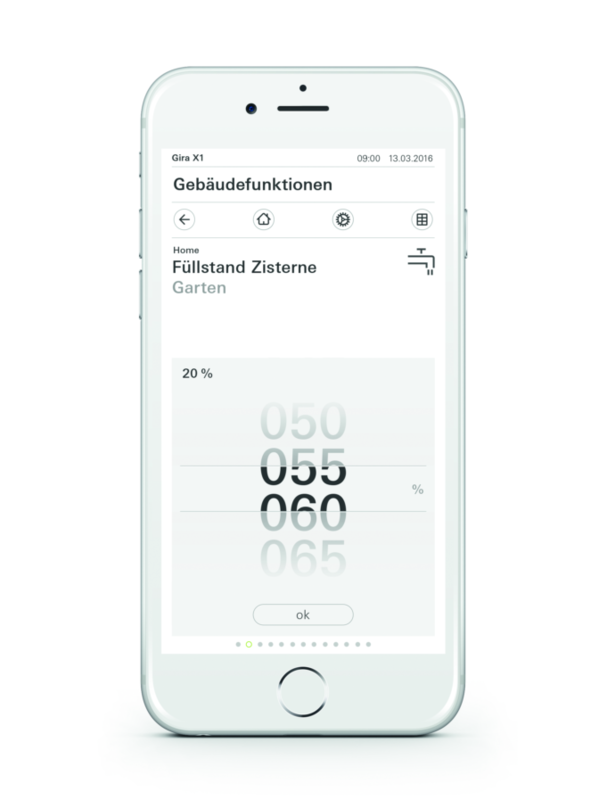 The app shows the current room temperature, which can then be raised or lowered accordingly. Or you can select one of the preprogrammed settings like “comfort” or “night”. 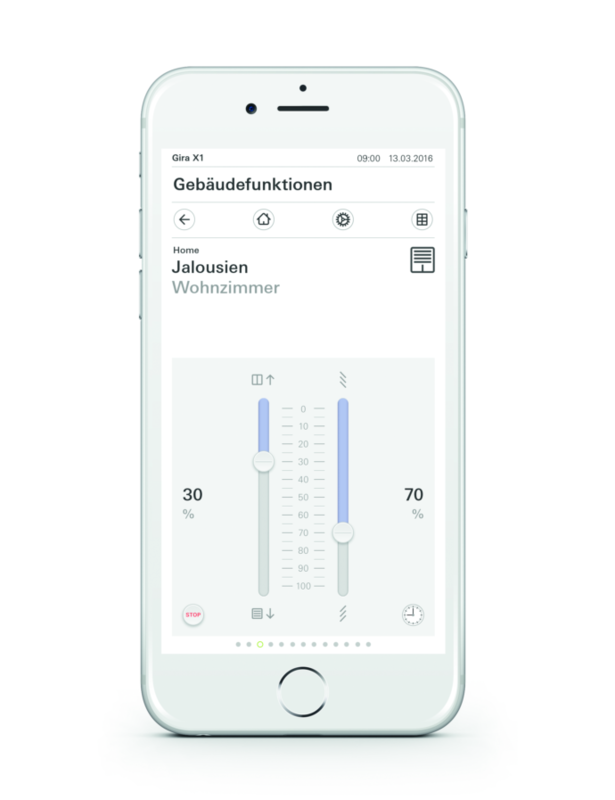 Occupants can call up the status of the various appliances or supplies in their home at any time via the Gira X1 and corresponding sensors. This makes both for convenience and safety: If the lawn is too dry, X1 automatically switches on the sprinkler. If a gas sensor detects dangerous levels of gas, it opens the windows. All functions can be combined with time switches and regularly repeated. For example, the blinds could be opened automatically every workday morning and closed again in the evening, while at the weekend they would stay closed for longer. Through the carefully orchestrated interplay of several devices in different rooms it is possible to create complex scenarios in the home. 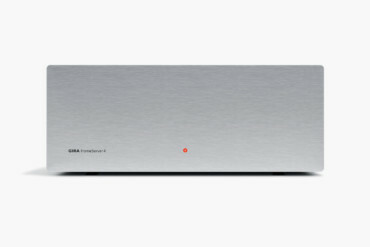 Eating, sleeping, working at home, reading or watching a film – at home there are recurring activities which can be bundled with the Gira X1 to create scenarios. At the touch of a finger on a mobile device you can select the appropriate light, suitable music, the ideal temperature or appropriate degree of privacy. A “burglar alarm” scenario would also be conceivable in which all the lights go on and off, the blinds are raised and a piercing alarm sounds. 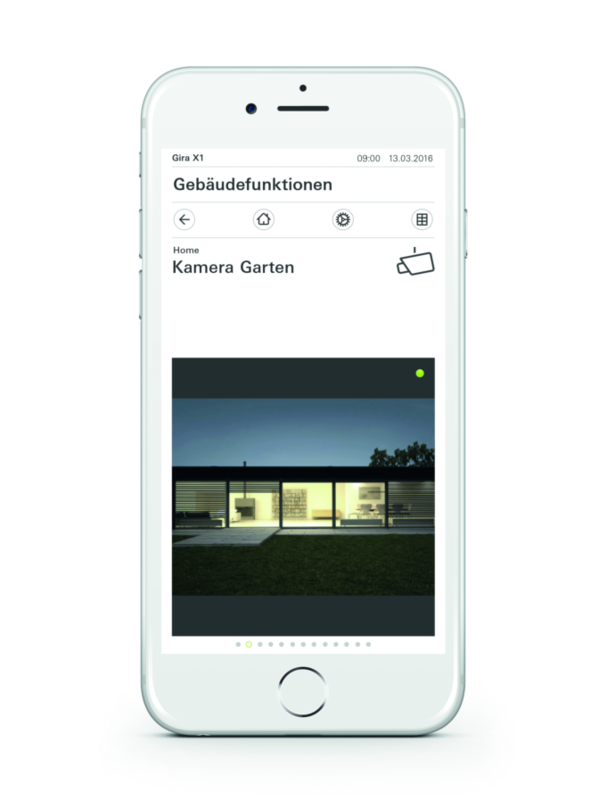 As regards security, when you are on the move the Gira X1 app also lets you view live images on a smartphone or tablet from all the cameras in your home. This helps deal with callers and provides an additional feeling of security.